There are a lot of things to see in the Dominican Republic from the sparkling sea to dense jungles to a thriving art scene. 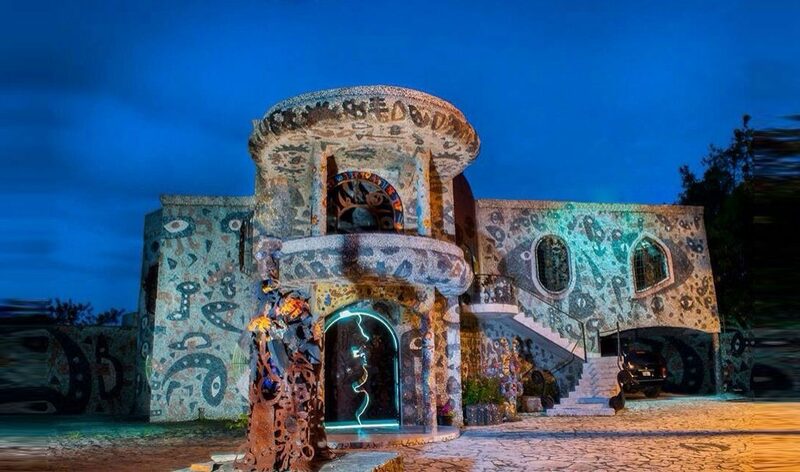 In the midst of all this beauty is renowned artist Cristian Tiburcio’s residence, which he transformed into a mosaic-plated sancturary in the town of Bonao. According to a report from Fox News Latino, Tiburcio’s home with wife Lizbert de Tiburcio has attracted its fair share of visitors even before they opened it to the public. Tourists would drop by at all hours assuming that the eye-catching house is a museum with its sculptures and mosaics standing out from the rest of the residences in the area. The 48-year-old artist embarked on the personal project 20 years ago, but he still considers it an ongoing work in progress — and it’s likely to stay that way indefinitely. Every corner of the residence is a work of art, just as Tiburcio meant it to be. From the metal sculpted door to the regular staples like the blender or toilet, the entire house is an exercise in creativity and beauty — even before it was made a public museum. 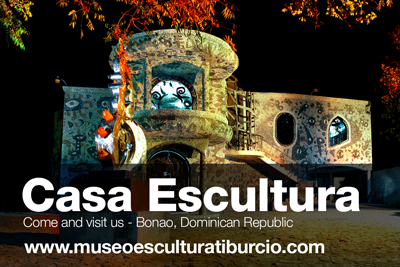 Now that the casa-museo is a Bonao heritage site, the family no longer resides in the art-filled facility but in a separate apartment in the town. Tiburcio is hoping to put the proceeds to good use such as studio space for artists. His house is only one of the many art spaces in the Latin American region, which has been a leading destination for both artists and enthusiasts. A report from The Culture Trip enumerated some of the interesting art hubs of Latin America including Espacio de Arte Contemporáneo in Montevideo, Uruguay. The facility used to be an abandoned jail, until the government decided to turn it into a center for contemporary art. Inhotim in Brumadinho, Brazil is also a world-class landmark. Not only does is it the site of awe-inspiring art installations and artworks, but the sprawling botanical gardens make it an idyllic place to visit.